JUL 2018: Copper Environmental Consulting (Anaconda, MT), joined Prism (Export, PA). Morrissey Goodale initiated the transaction and advised Copper Environmental Consulting. 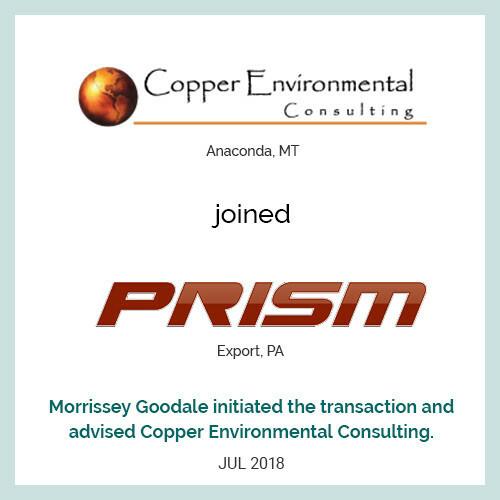 JULY 2018: Copper Environmental Consulting (Anaconda, MT), joined Prism (Export, PA). Morrissey Goodale initiated the transaction and advised Copper Environmental Consulting.